Egypt: What are the teams up to? Egypt: What are the teams up to? Home / Africa / Egypt: What are the teams up to? The football season is almost upon us and there is plenty of excitement building. How big are expectations and how many questions need answering? To name a few; how strong will the Eagles comeback be this season wanting their title back?! Are the Hounds just as ready to defend their spot? Where are the Bears?! Who’s going to be the most surprising team this season? And what’s up with all the players moving between teams?! Of course, It’s nothing but normal for players to be changing teams. while many are very strongly committed to the teams they call family, a lot tend to find themselves within new families. The Egyptian League has witnessed such movements in the past and it has recently even started showing in the EFFL with the two biggest examples of Nora Ali, and Ghadeer Sabry leaving the Warriors to join the GUC Eagles. This ENFL season however, shows an unprecedented number of players’ movement. Let’s first address the elephant in the room, being the Bears’ announcement of the Hounds’ Ali Samir joining them for the season. Yet, Ali’s decision wasn’t final and it has been confirmed that he will be playing for the Hell Hounds. 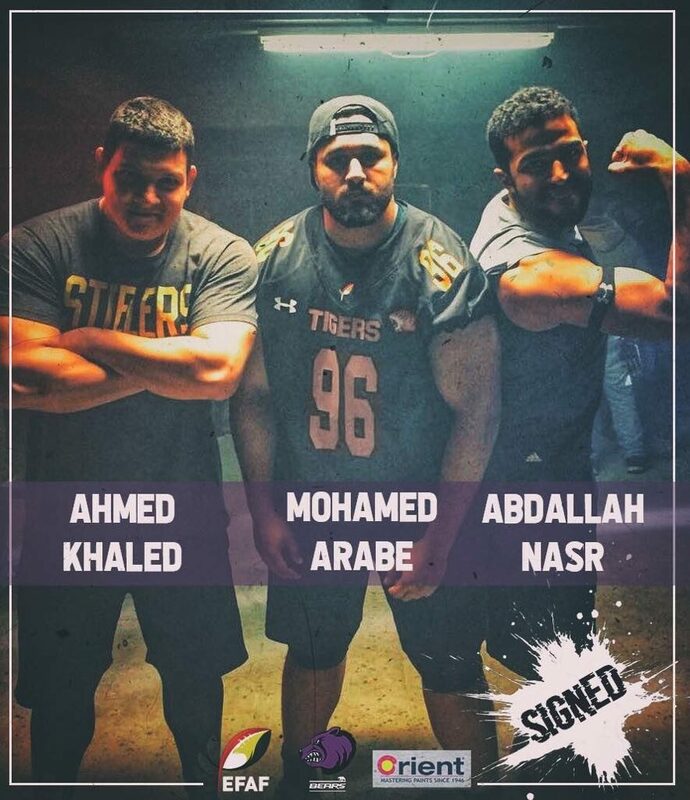 The Bears however have secured three of the strongest defensive players in Tigers’ history; Mohamed Araby, Abdullah Nasr and Ahmed Khaled along with receiver Gamal Mahmoud. The list goes on with the Warriors’ Youssef Shawky and Marwan Yasser, the Titan’s receiver Omar Mohamed and running back Eslam Mohamed. They’ve also hired ex Hounds’ Coach, John Burleson . The Bears may be keeping a closed door for practice but we’re sure they’re ready to fight! As for the Wolves, they’ve welcomed a couple of players from the Thunder including Ahmed Metwally and Omar Yahia, as well as from the Tigers including their lineman Mohamed Badr. We also know that Omar Ghanem will be playing this season. After two months of practice with the Hell Hounds, Omar decided to rejoin the pack for the ENFL V.
The biggest surprise this season though is in the groups of players who moved together from team to team. A group of players from the Warriors have decided to join the Hounds, while two other groups quit theThunder to join Tigers and Hounds. So how will all of this unfold on the field? Well it’s too many questions, and here’s a little insight of what went around in pre-season games that may help us gather up some ideas. Here’s what we do know. 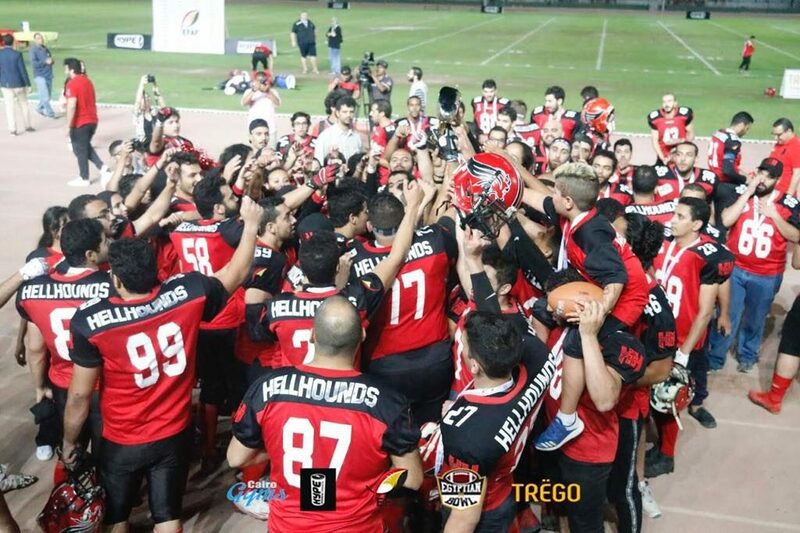 The defending champions, the Cairo Hell Hounds, have not yet played an official pre-season game but have participated in controlled scrimmages with both the Gezira Thunder and the GUC Eagles. It’s still unknown whether the Hounds will be playing a pre-season game or if they’ll wait to leave it all on the field in the first week of the season. The Thunder on the other hand, have had other friendly scrimmages with the Titans ,Tigers and Bears while also playing a strong official pre-season game with the GUC Eagles. The MSA Tigers beat the Cairo Warriors in the only pre-season game both teams have played. Where are the Bears? Well, they’ve proven what this season will be about through keeping a close game in a controlled scrimmage against one of the strongest West teams, the Wolves. While we tried to sum up an idea of what to expect we still have a million questions and we know you do too! So stay tuned for our in depth interviews with each of the 8 teams which may just give us a hint on what we’ll be seeing on the bumpy road to the Egyptian Bowl V.